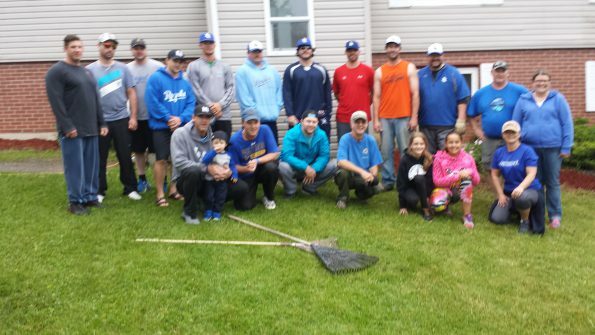 In an effort to give back to their community the players met on a sunny Saturday morning at Chrysalis House, located an actual foul ball from the field. The team cleaned up the brushes, old dead trees, mowed – raked, weeded and much more. 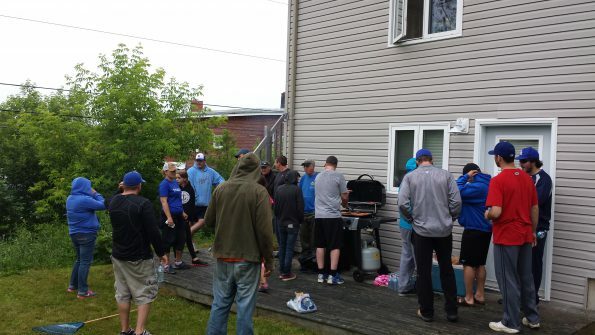 It was a great day of giving back followed be a wonderful BBQ from our hosts. Members of the 2015 Peterbilt DQ Royals taking a break from yard work at Chrysalis House. 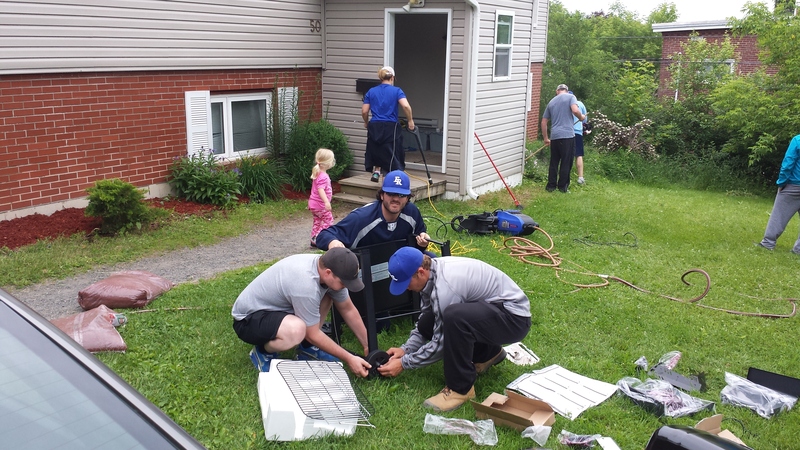 The team lent a hand doing some yard work, brush removal and general maintenance. The Royals look forward to partnering with Chrysalis House for years to come!